All of Athens prepares to celebrate the nuptials of Duke Theseus and the Amazon Queen, Hippolyta. Even a lowly group of workmen decide to put on a play in hopes of entertaining the Duke. Into this revelry comes Egeus, full of vexation with his daughter Hermia. She has refused to wed Demetrius, the young man her father has chosen, because she loves Lysander. In desperation, Hermia and Lysander decide to run away. Hermia’s best friend Helena, who is in love with Demetrius, tells him of Hermia and Lysander’s flight. As Demetrius pursues them, Helena follows him, hoping to win his love. Within the woods, Oberon and Titania, the King and Queen of Fairies, are quarreling. To punish Titania, Oberon employs the juice of a magic flower to enchant her while she sleeps--upon awakening, she will fall in love with the next creature she sees. Meanwhile, having seen Demetrius scorn Helena, Oberon sends Puck to cast the same spell on the young Athenian. Mischievous Puck is not as careful as he should be, and confusion soon reigns. 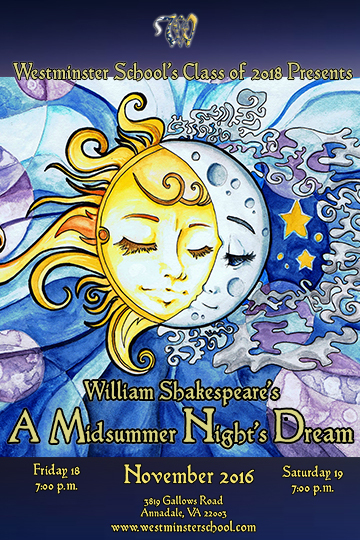 How all these wrongs are set right; how the workmen fare in their play before the Duke; and how the “most rare vision” of a midsummer night dissolves into joyous day rounds out the tale of Shakespeare’s beloved play. Which day will you enjoy the show?